My fellow Nutella-lovers and Auntie Anne’s pretzel fanatics, it's high time to rejoice! A limited edition snack worthy to be raved is now available - Pull-A-Parts with Nutella. This sumptuous new snack is made from Auntie Anne's freshly baked dough, and gloriously slathered with Nutella (said in a high-pitched voice) and topped with Auntie Anne’s signature almond crunch. No! This is not exactly your average pretzel. Why? 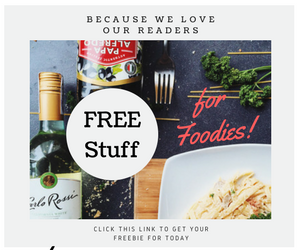 Because for one, it's uniquely-shaped in zig zag , thus it helps you to share the pretzel-love all because it is easier to tear and share to your family and friends! From the combination of roasted hazelnuts, skim milk and a hint of cocoa, the unique taste of Nutella hazelnut spread compliments the soft Auntie Anne’s pretzels that are made from scratch with delicious dough, hand-rolled, twisted and baked to a golden brown. 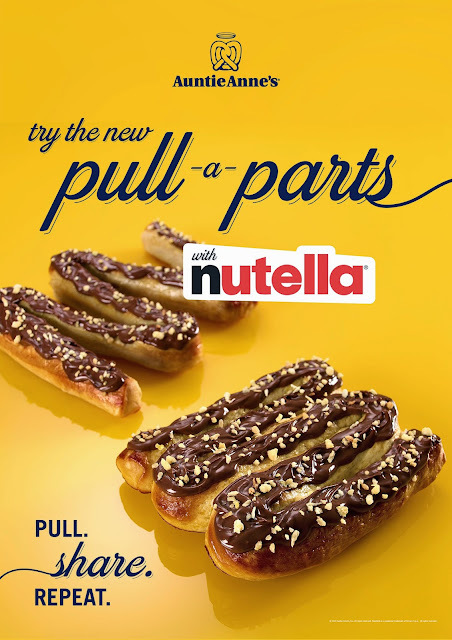 Well-loved by kids and kids at heart around the world, Auntie Anne’s Pull-A-Parts with Nutella is surely a delicious treat that you don’t want to miss. Get your perfect snack treat in all Auntie Anne’s branches nationwide: Mckinley Science Hub BGC, Festival Mall, Sm Southmall, Greenbelt 1, Sm Mall of Asia, Alabang Town Center, SM Megamall, Cash and Carry Mall, Robinson’s Ermita, Greenhills Mall and Robinson’s Metroeast. To get the latest updates about Auntie Anne’s and new baked goods, follow Auntie Anne’s Philippines on Facebook, @AuntieAnnesPHL on Instagram and Twitter.